Ready for your out of the box experience? Like so many of you, I highly anticipated the arrival of the 5D Mark IV and as has long been my practice, I created a list of setup steps and once again share them with you here. Here are the 41 steps to my Canon EOS 5D Mark IV setup. Open the box, find the battery and charger and plug it in. If you have another charged LP-E6/LP-E6N battery available, you can continue to the battery-required steps without a wait. Or, the supplied battery may have enough charge to take you through these steps if you can't wait. While the battery is charging, unpack the other items you want from the box. For me, this is primarily the camera, the eye cup, the neck strap and the Canon Solution Disk. Download and install the latest Canon EOS Solution Disk software on your computer to get support for the latest camera(s). 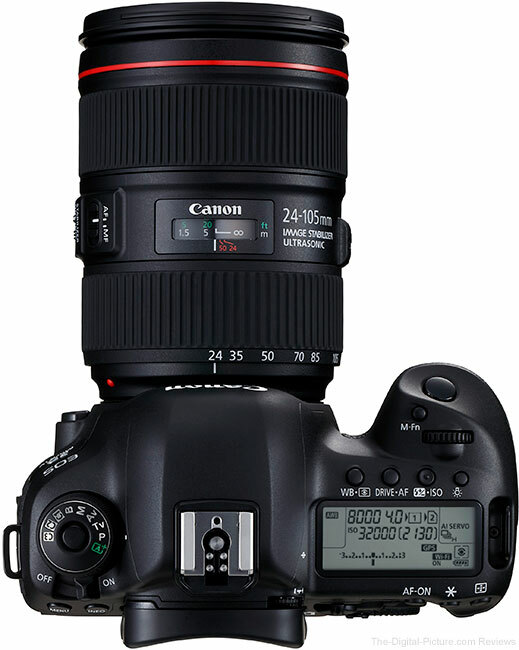 Canon Digital Photo Pro (DPP), EOS Utility, Photostitch and Lens Registration Utility are the options I manually include in the install. Insert a sufficiently charged battery. The date and time setup screen will show at startup the first time. Use the Rear Control dial and the Set button to update this information. Insert one (or two) memory card(s) (format them via the tools menu option before taking pictures). Set the camera's mode to Av, Tv or M (some modes provide only a small subset of available menu options). Shooting Menu, Tab 1: Image quality: Use top dial to set RAW to "RAW" and Rear Control dial to set JPEG to "-"
Shooting Menu, Tab 1: Image review: 4 sec. Shooting Menu, Tab 3: Long exposure noise reduction: I usually have this option set to "Auto", but my choice varies for the situation. To copy this configuration would mean that you intend to shoot similar to how I shoot – including shooting in RAW-only format. While my setup works great for me, your best use of this list may be for tweaking your own setup. If you can't remember your own menu setup parameters, keeping an up-to-date list such as this one is a good idea. Anytime your camera goes in for a service visit, the camera will be returned in a reset-to-factory state (unless you request otherwise). Your list will ensure that you do not miss an important setting when putting the camera back into service.